Juror misconduct is one of the best defenses an attorney can raise in order to overturn a verdict. According to the U.S. Constitution, every citizen is guaranteed due process under the law and a fair trial. When it eventually comes out that a juror may have tainted the proceeding by allowing their own prejudice and bias to impact their decision, this makes the likelihood of a successful appeal that much greater. Florida, of course, has other issues to contend with in regards to its death penalty sentencing system. In 2016, the U.S. Supreme Court ruled the system that Florida had been using to sentence capital offenders for over 40 years was unconstitutional. The reason Florida’s capital sentencing was struck as unconstitutional was that it gave judges, not juries, too much power over the fate of the defendant. Recently, however, Florida’s Supreme Court ordered that Eric Kurt Patrick’s sentence be reviewed for a death sentence he received in 2005. In a completely separate matter, they ordered a lower court to investigate juror misconduct that may have led to an unfair verdict. Why? Because one of the jurors had been found to have made anti-gay statements during jury selection. This juror had apparently admitted that he would be biased against a gay defendant. That begs the question: how did he make it onto the jury in the first place? When the juror was asked if he would hold the prosecutor to the standard of proof required in a criminal trial, he responded by telling the defendant’s attorney that if he believed a defendant was a homosexual, that he would automatically consider this individual morally depraved enough to kill. He was asked directly if his bias would impact his decision making. He responded by telling attorneys that it would. Why would Patrick’s defense attorney, then, not disqualify this juror from being a part of the jury. That’s where things get a little interesting. We know that the defense attorney is the one who asked the juror these questions. We know that the defense attorney did not move to have this juror excused for cause right then and there. What was he thinking? Prosecutors argued that the defense counsel’s motives were strategic. In other words, by allowing this individual on the jury, he either forced the prosecution to use one of its strikes or, simultaneously, allowed the trial to go forth with a tainted jury knowing it would be grounds for an appeal. For its part, the Supreme Court said that was probably true, but it doesn’t change the fact that this man’s bias negatively impacted the verdict and denied the defendant a fair trial. The Supreme Court ordered the lower court to hold an evidentiary hearing on the extent of the damage the biased juror did to the defendant’s due process. If upheld, Patrick could be given an entirely new trial for the 2005 murder of a lover. 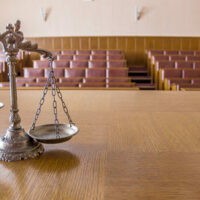 Need the Best Defense for Your Criminal Trial? Contact Skier Law Firm, P.A at (561) 820-1508 or contact us online. We’ve handled everything from routine DUIs to high profile murder investigations. Give us a call and we’ll begin preparing your defense immediately.